“There was a man in the land of Uz, whose name was Job; and that man was blameless and upright, and one who feared God and shunned evil. And seven sons and three daughters were born to him. Also, his possessions were seven thousand sheep, three thousand camels, five hundred yoke of oxen, five hundred female donkeys, and a very large household, so that this man was the greatest of all the people of the East. And his sons would go and feast in their houses, each on his appointed day, and would send and invite their three sisters to eat and drink with them. So it was, when the days of feasting had run their course, that Job would send and sanctify them, and he would rise early in the morning and offer burnt offerings according to the number of them all. For Job said, “It may be that my sons have sinned and cursed God in their hearts.” Thus Job did regularly” (Job 1:1-5). God does not hate the rich people; he loves both poor and rich people alike. Anyone (irrespective of his or her status), who faithfully serves the Lord will receive his favor. Rich people ought to learn how to be godly from Job in the Bible (Job 1:1-5). The man was humble, and he complied with the laws of God throughout his life. Job also taught his children how to fear and faithfully serve God. Job prayed for his children and ask for their forgiveness. Meanwhile, besides the fact that Job was godly and raised in a righteous family, he also humbly related to both his neighbors and his servants. There was no record that Job mistreated anyone around him. In fact, Job’s lifestyle was so pure to the extent that it caught the attention of God in heaven! Christians must understand that it is not sinful to desire riches, but it is sinful to desire riches with a wrongful mindset. Christians who desire to be successful on earth must assess his or her motivation, whether it is godly or not. The question we should ask ourselves is; is the motivation for riches based on an attempt to gratify worldly desires, or it is based on an attempt to glorify God? Christians’ pursuit of success must be solely based on positive perception. It must be based on the goal to satisfy God and benefit the lives of others! A Christian whose heart is pure will receive God’s blessings beyond his or her wildest dream! 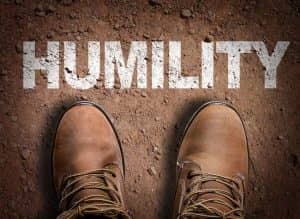 Humility – The real virtue for the Christians! Humility should be a staple for Christians all over the world. Akin to Job in the Bible, God blessed those who are humble and faithful to his words. Be humble and serve adequately and doors of opportunities shall be opened unto you. Click here to read about humility. Christ, please help me to have a good motivation for success. Once I am blessed, please keep me humble to honor you with my riches! Give me the grace to promote godliness with my riches so that I can continue to be prosperous. Please let my lifestyle glorify your name, and please turn my life to become an embodiment of testimony to the glory of your name. For in the name of Jesus Chris Christ, I make my requests. Amen.